Oven Pride challenged me to cook a full Christmas dinner, then clean my oven using the Oven Pride Complete Cleaning System and cook another pretty much identical Christmas dinner and see if I could spot any difference. We ate our dinners two days apart so that we could really give an honest impression. 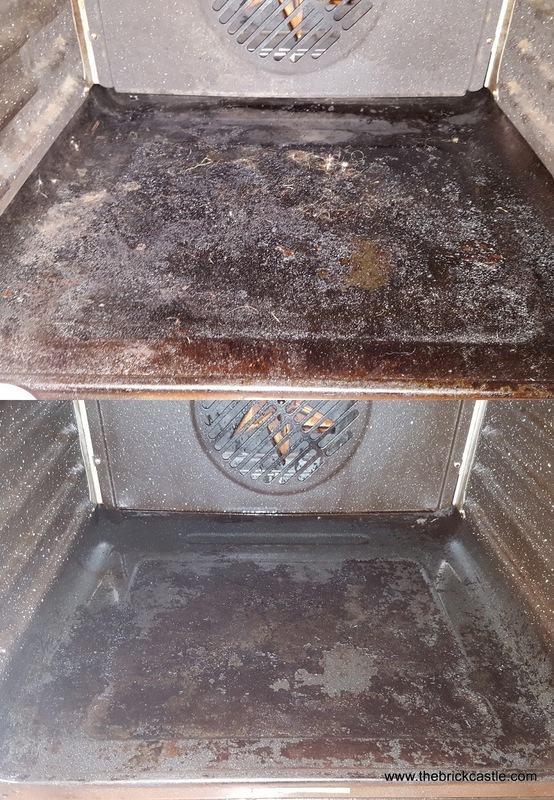 The fact is that cleaning the oven is a job we all choose to put off. 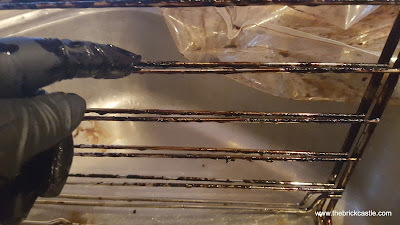 It seems dirty and stinky, and very hard work, and while it still works and there are a million other things to do, it doesn't seem top of the list. 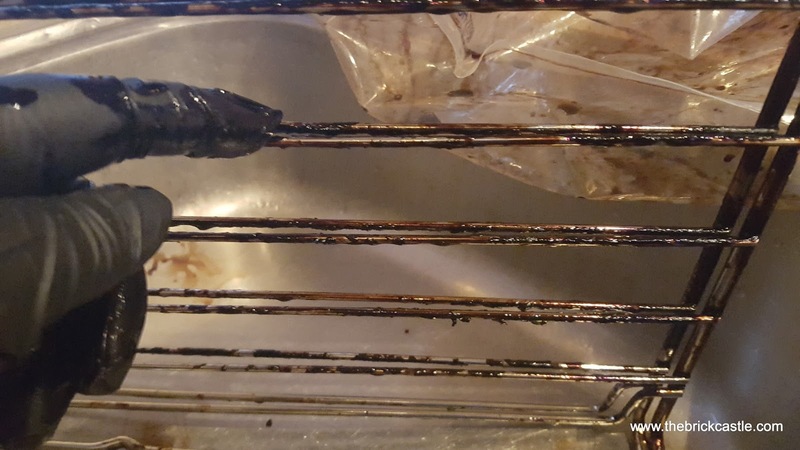 It's only when you get down there and see just how much pizza the teenagers have dropped on the bottom of the oven that you appreciate how bad it is. 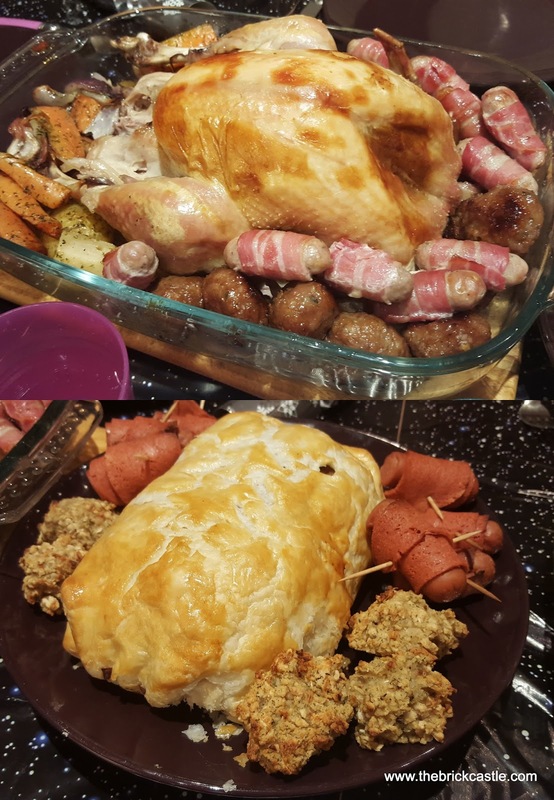 I almost didn't want to cook my Christmas dinner in there! It was fun going and buying all the ingredients for two Christmas dinners. We made a lot of people smile that day in Sainsburys - especially the lady on the till, who clearly thought I was insane. Turkey for the meat-eaters and my Veggie 'Beef' Wellington for the veggies. 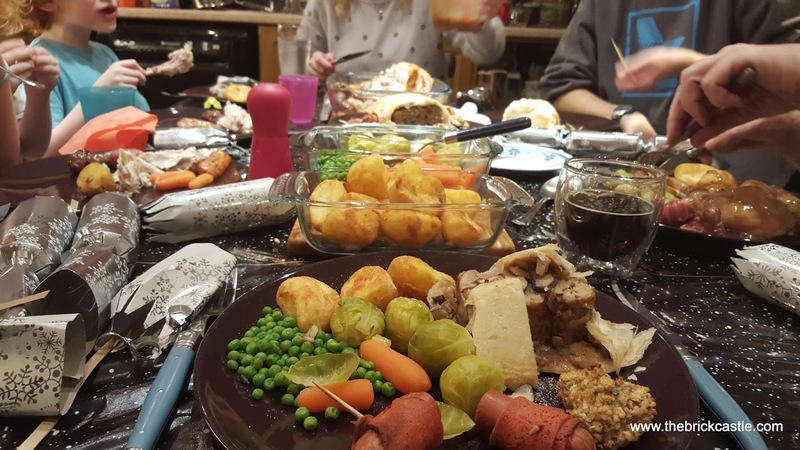 Stuffing and pigs-in-blankets, roast potatoes and veg...including the brussels...and the all-important Yorkshire Puddings. The Oven Pride Complete Cleaning System is designed to "give you unbeatable results with minimum effort". 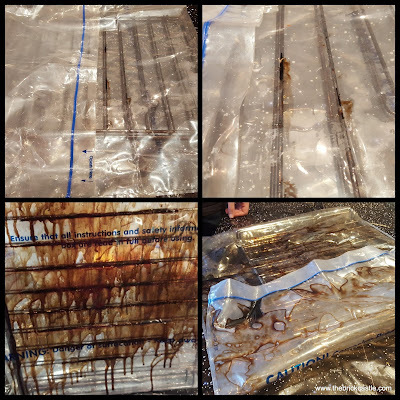 Inside the box you have the bottle of solution (a thick, virtually odourless, colourless gel), a large thick plastic bag which seals securely and a pair of gloves. 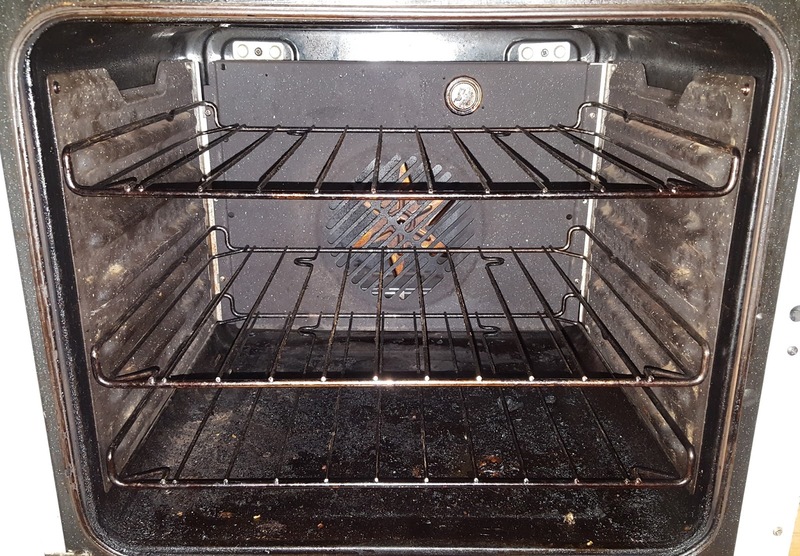 The oven wasn't quite so forgiving to us and we knew we'd have to do a second coat. 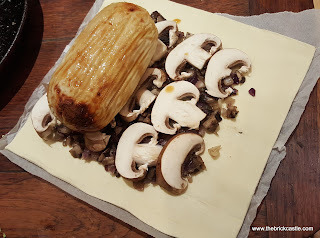 It would have taken an industrial grinder to remove all of that burnt on food at the first attempt. The Oven Pride made a huge difference, and after a second spot coat on the bottom, the oven is looking so much better with very little actual physical effort, and only about 60 minutes work in total! 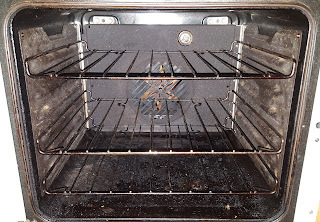 My favourite thing about the Oven Pride isn't even the way you can wipe off the dissolving dirt, it's the fact it doesn't stink! 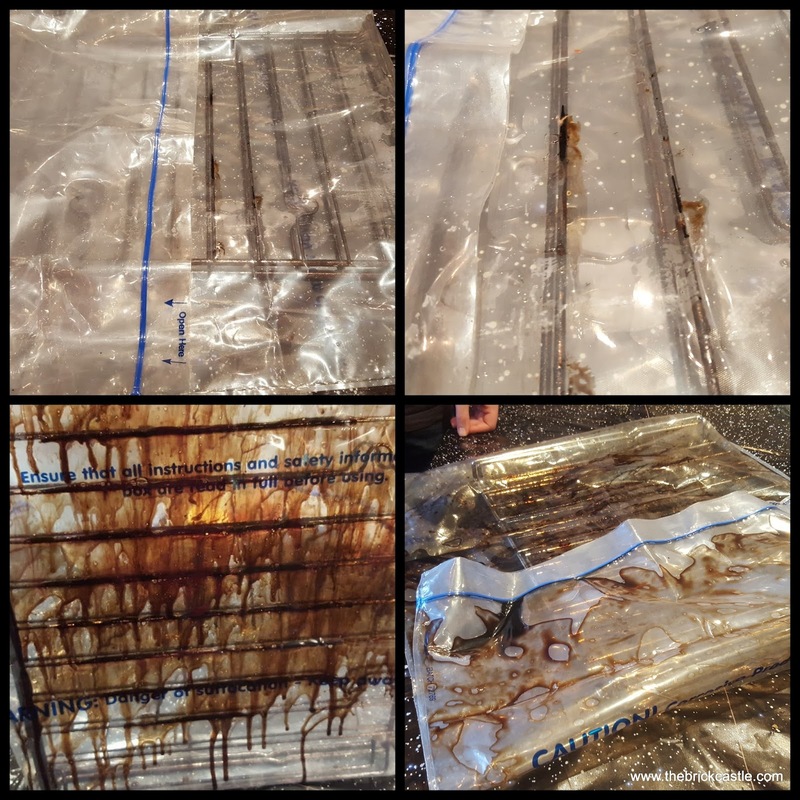 The other oven cleaning solutions I have used have a really strong chemical smell and I don't like to use my oven afterwards, the Oven Pride doesn't smell as you use it, and doesn't have a residual smell at all. We were able to launch straight into cooking Christmas dinner no.2! 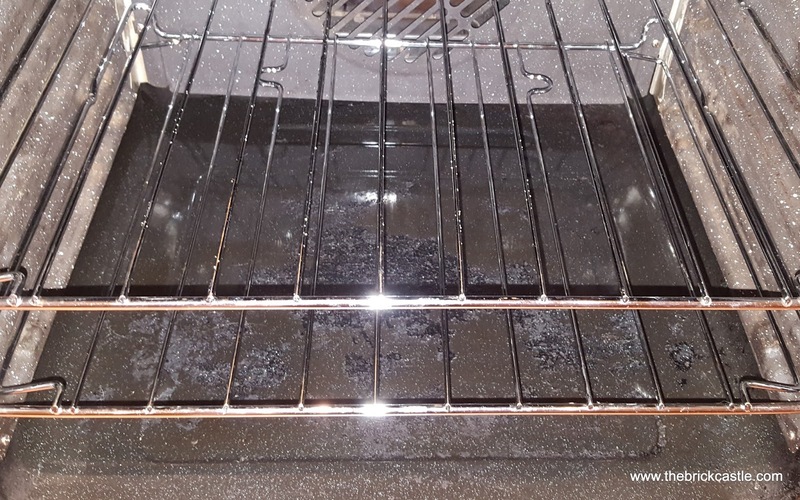 The Oven Pride really did do the hard work, I mainly applied it and rinsed it off. It took only around half an hour of my day in total to do a clean, and a box of Oven Pride currently comes in at around £4 - I honestly feel a fool for putting it off. 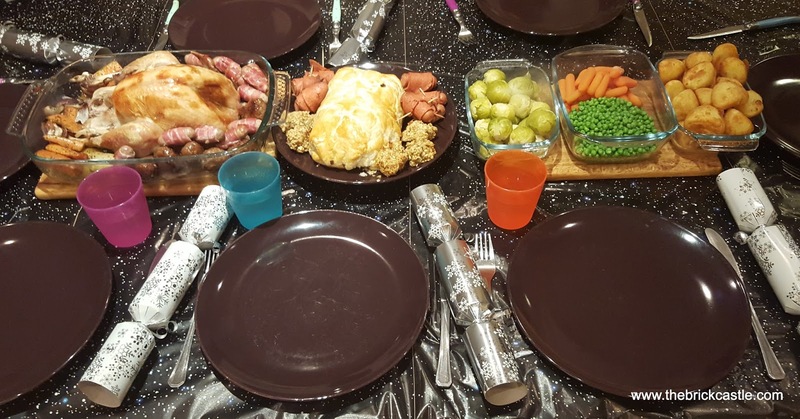 If you'd told me 2 months ago I could improve my Christmas dinner experience so much by the inclusion of something costing less than a fiver I'd have asked no questions and just agreed to buy it. 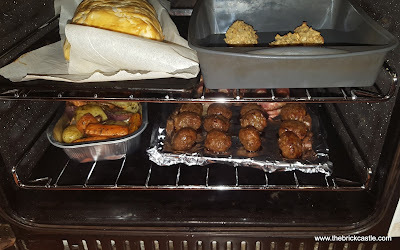 I will not leave my oven so long again, and it's a job I can just fit in around my day, not a huge afternoon's slog which leaves me shattered and needing a shower before I can do anything else, and I will always have a fresh oven for Christmas! 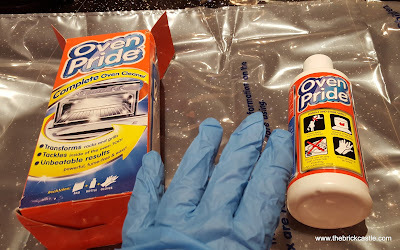 I was going to clean my oven anyway, I had bought another product ready to do the job, and I am delighted I've found out how easy Oven Pride is to use. 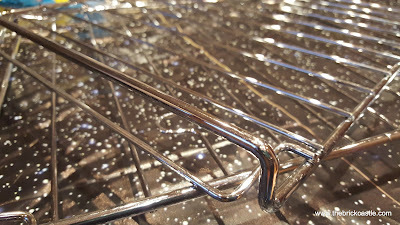 It rinses off far more easily and the oven trays are beautiful, something I'd never have achieved without scrubbing for ages with my other product. The Oven Pride is also around half the cost. 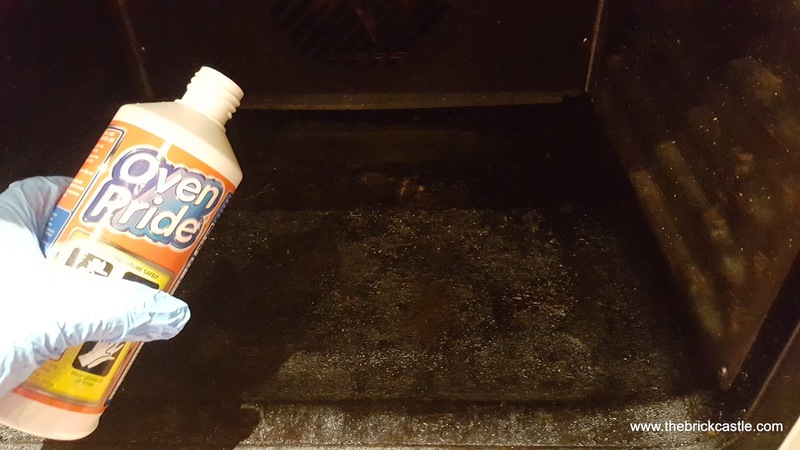 Oven Pride is available in all of the major supermarkets, plus a multitude of other shops like Home Bargains and Wilkinson, priced around £4-£5, currently on offer at £3 in one of the supermarkets! I can't wait to get baking now - and truly enjoy the freshness of my just-cooked food, rather than have it tainted by the stale smell of the last few month's burnt dinner spillage. 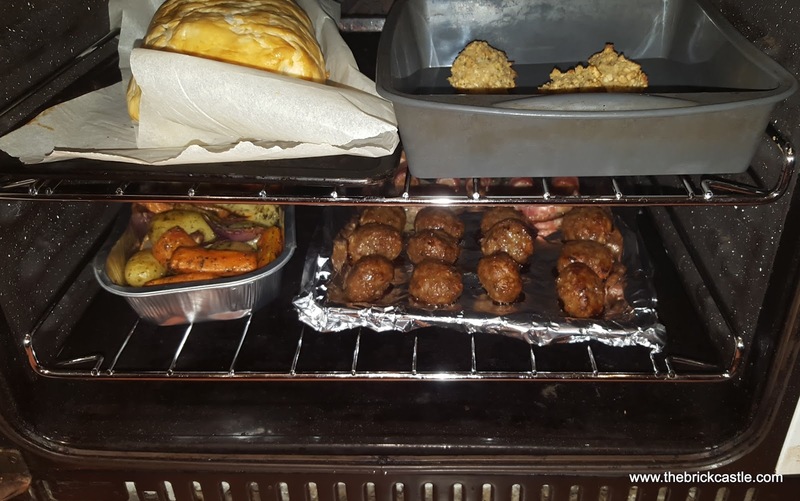 Oven Pride is only suitable for the inside of the oven and the oven trays and grill pan, it's not suitable for hob or the outside of your oven. The instructions should always be followed - and always wear gloves. 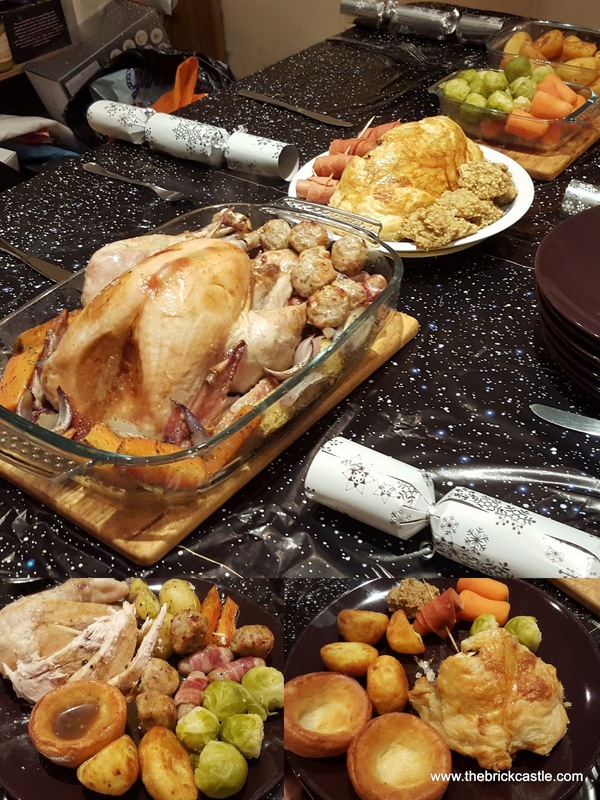 We were given vouchers to buy our Christmas dinners and reimbursed for our time spent on this challenge - although I promise I was going to clean my oven anyway! Amazing result! 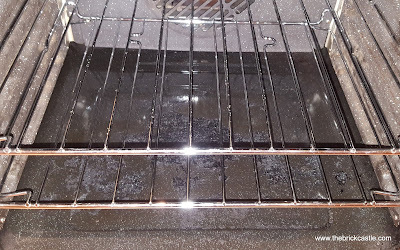 I always love using oven pride, they are great!